The DON Smart Task Completion app: insight & download. The DON - Done. Organised. Never Forgotten - Getting things done is hard, we make it easy. Rather than just reminding you that a task needs to be completed, like many other productivity apps, The DON connects you with a marketplace of vetted incredible partner businesses to actually help you complete the task, in the moment you’re notified. We want to help you take complete control of your personal life goals and tasks - whether that's adding your friends and families’ birthdays to The DON so you don't miss them, uploading your social calendar reminders or committing to those bucket list items that you’ve always wanted to do - busy mum, flat-out executive, intrepid expat - The DON’s got you covered. 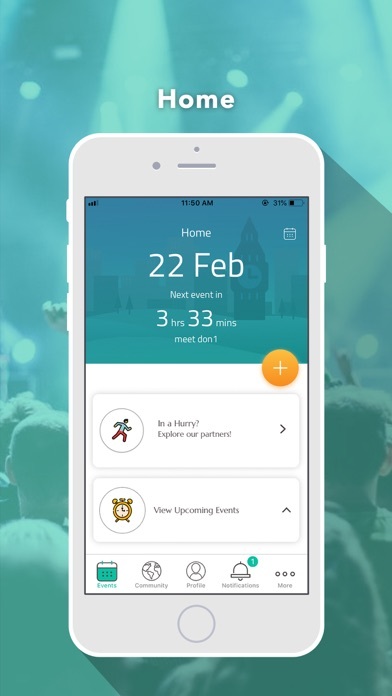 - Create your own hit-list of tasks and events - choose your date, time and select one of our event categories relevant to your task or event . - When you’re reminded of the task or event - you will now see a relevant list of products to help you complete your task. - Receive Discount Vouchers & Promotional Codes in-app through The DON partners. - Receive exclusive The DON Community Lifestyle Mailer on Productivity, Events, Insights, Travel and more. - Access to The DON Community - create, share and read posts from the global community - both pictures and text . - Create Individual and Group Chats with other The DON users - Team up on tasks or events. - Decide on your own dashboard view - countdown clock, week-to-view calendar. - Create your own Bio - Picture and ‘About Me’ - helping you connect with other The DON users. - Choose your own app colour-scheme. Download The DON today. Be Better. Be The DON. Your Ultimate Smart Task Completion tool. + Basic Subscription Features - Great for beginners - All core app features, however Basic Users are limited to a maximum of 10 events/tasks in-app at any one time. Basic Users also don’t receive the bi-monthly, exclusive ‘The DON Lifestyle Mailer’ on Deals, Product Reviews, Book Club, Social Events, Insights, Travel and more. - Basic Subscription - FREE. That’s right, no charge at all. + Pro Subscription Features - For those serious about taking control - Unlimited events/tasks in-app & The DON’s Lifestyle Mailer. You will probably pay for the annual subscription with your first discounted product purchase - a quick and easy return-on-investment. - Pro Subscription Fee - GBP £3.99 per month. Alternatively, if you sign-up for 12-months, we reward your loyalty with a c.20% discounted price of GBP £38.99 covering the full 12-month period. Subscriptions will be charged through your iTunes account. Your subscription will automatically renew unless cancelled 24 hours before the end of the current period. You will not be able to cancel a subscription during the active period. You can manage your subscriptions through the subscription tab in-app. Your account will be charged, for renewal, within 24-hours prior to the end of the current period. Subscriptions may be managed by the user and auto-renewal may be turned off by going to the user's Account Settings after purchase. 26 June 2018 : Free!